The combo of EarthFit Body-Mind Transformation Center and Back Pain Relief4Life has Deb jogging again. “Before I joined EarthFIT and before I started the program, my life was not existent. I had issues with my back – severe back pain. I couldn’t get up off a chair. Basically, I had tremendous back pain just sitting, just standing. When I came in to EarthFIT it was my last hope, basically, and I sat down and spoke with you, Ian, and you’d explain what back program was about and we started. And now 9 Months later, I’m jogging, which is phenomenal because I could barely get up off a chair. Back Pain Relief4Life is the world’s simplest and most effective way to eliminate back pain naturally… without the need for drugs… surgery… or fancy equipment. It is a lower back pain cure that beats out every other back pain remedy and option in the world for getting a healthy and strong back. “I would definitely recommend Relief4Life to anyone that wants to strengthen their back, relieve back pain, and just live a healthier life. Before Relief4Life I spent many days confined to my bed because I had a lot of lower back pain that affected my sciatic nerve, my foot drop was a lot worse, it caused me to find an occupation where I had to work from home because I suffered so much severe lower back pain. 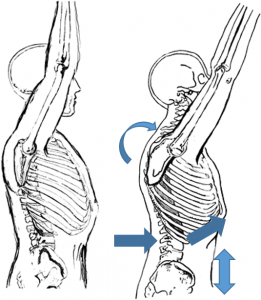 I find that almost everyone can benefit from increasing their thoracic mobility (The area in the middle of your back). So… I created a video for you. You can do this pretty much anywhere. If you don’t have any of the equipment handy, you can do the exercises that do not require any equipment and still get amazing results. “Hey! What’s going on? It’s Ian Hart here and today I wanted to talk to you about Proprioception and how it relates to back pain and other pain that you might be having. So if you’ve seen some of my videos on mobility, as well as just active movement and the back programs specifically then you know that proprioception is a major factor in those things. “Hey! What’s up? It’s Ian Hart here. I’m here at my fitness studio and I had a quick thought that I think can help you if you’re dealing with back pain. And so that being: how you walk. “Hey! What’s up? It’s Ian Hart here with MyBackPainCoach.com, BackPainRelief4Life.com and today I wanted to speak to you about sitting. You know sitting gets a bad wrap for numerous things and it should because sitting all day is not good for you right? They say it’s the new smoking because your blood doesn’t flow, you don’t get nutrients and oxygen all that stuff to the body and the body is designed to move and get a lot of energy. And so lack of movement is really what can cause back issues. If you’re sitting in a certain position all day there’s going to be compression on the discs, lack of movement of those ligaments, tendons, that support the spine and it won’t get the nutrients it needs. But, if we were going to be completely honest about it you know sitting is not really that detrimental to the back. All right, it’s just the fact that lack of movement, nutrients and all that stuff overtime is really what’s damaging. Alright so it’s damaging to every part of your body, your cardiovascular system, your neuromuscular system, your back, all those things. Sitting is not good for long period of time all day everyday right? we know that. “Quick tip for those suffering or been told that they have Degenerative Disc Disease (DDD). This is a label and a term and it means nothing; there is no such thing as DDD. If you look it up online and it’ll tell you this is not a disease. Everybody has degenerating discs, it’s part of getting older and I heard Dr. Stuart McGill say when you go to a Doctor’s office (Dr. Stuart McGill is one of the leading spine specialist in the world) and he’d say, when you go to the Doctor’s office and they see wrinkles on your face they don’t tell you, “You have degenerative face disease,” right? Because no one would accept that or buy that. But as soon as somebody accepts that they have DDD they believe that they have a disease when the true cause of all degeneration is typically stress, diet, are you getting the minerals? Are you intaking inflammatory foods? etc., etc., like, are you gluten intolerant, but you eat gluten which has an affinity for collagen so it attacks the collagen that wears down the joints faster, etc. Health and Fitness Beaufort SC: The Body Is Designed to Move! “Hey! What’s going on? It’s Ian Hart here with MyBackPainCoach.com, EarthFITtraining.com, and BackPainRelief4Life.com. And so, today I wanted to talk to you about the fact that the body is designed to move, and it is designed to move a lot. Alright, so we know this, everybody knows this. It’s not a surprise but there is some fears surrounded around exercise and movement, et cetera, and what I want to go over is why there should be no fear around movement, in general, training or doing any type of training.